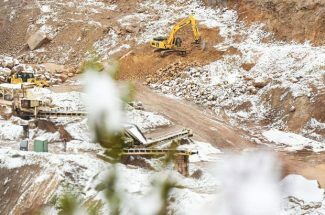 The Bookcliff, South Side and Mount Sopris Conservation Districts have received funding of $500,000 for the next two years to assist agriculture landowners in portions of Garfield and Pitkin counties improve water quality and conserve water use. The Targeted Conservation Program is part of the USDA Natural Resource Conservation Service’s (NRCS) Environmental Quality Incentives Program. Local landowners must match these funds from loans, grants or their own funds. 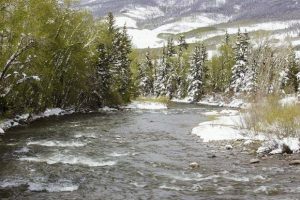 This will make a total investment to improve water quality of nearly $2 million in the Colorado and Roaring Fork river drainages. The request was developed by the local conservation districts because landowners could not obtain cost share funds through the normal cost share programs of USDA conservation programs. The request targets the need of cost share on larger group projects. • Improve overall water quality, watershed health and water quantity in the mainstream of the Colorado River and its tributaries. • Reduce salts and sediments in the waters of the Colorado River. • Reduce unwanted vegetation such as tamarisk, Russian olive, willow, reed canary grass and other hydrophytic plants. • Help landowners reduce annual maintenance and disturbances in ditches. • Improve the habitat for the threatened and endangered warm water fish in the Colorado River below Rifle. • Reduce labor and production costs for agriculture producers. The first year’s allocations have already received requests for funds to install irrigation pipelines, irrigation diversion structures and associated management practices. The consumptive use of agriculture water benefits beyond local citizens, but also extends worldwide in the production of food and fiber. 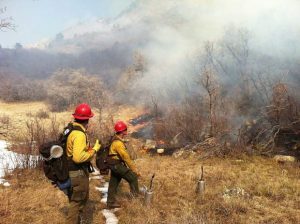 Ecosystem improvement will include the upland, rangeland, forest land, wildlife land and the riparian area along each of the natural streams and rivers, while maintaining the water rights of the landowners. Our local farmers and ranchers are conservationists striving to improve our environment through the proper use and management of water, plants, soil and animals and maintaining these resources for the current production of food and fiber, and for the future. For additional information or questions, call the local conservation district office or the NRCS at (970) 945-5494. Dennis Davidson is area conservationist for the Bookcliff, Mount Sopris and South Side Conservation Districts.